This is perhaps one of the coolest and weirdest EP’s I have heard in some time. 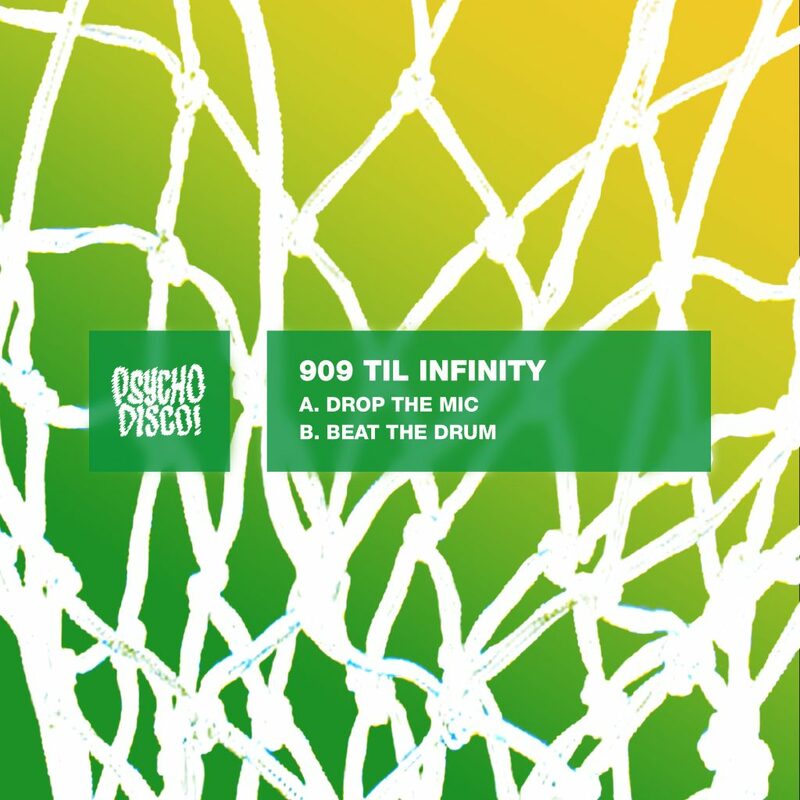 909 Til Infinity have created this genre bending, 90’s influenced, crazy two track EP that I has me very fascinated. This duo will really have you taken in by what this EP has to offer and when it is over, you’re going to want to know why isn’t there more from them. The two tracks, “Drop The Mic” and “Beat The Drum” have quite the bassline and extremely interesting sound design that will just take over your soul from the moment you hit play. It is such a well done EP and very enjoyable. Check it out now!